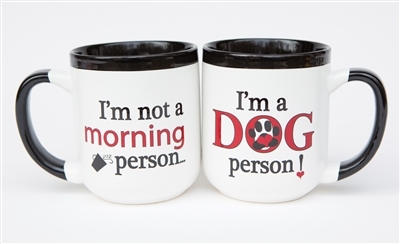 16 oz stoneware mug for the pet lover will make you smile. You may not be a morning person, but you are a Dog Person! This sturdy mug is a perfect gift for any occasion for the pet loving friend or family member. Soon to be a favorite mug to hold that morning coffee or tea and celebrate the joy of all breeds of dogs.